Our Vandal Stop Products - Sanitary Waste Receptacle (VSP-SWR) is an excellent complement to our vandal resistant line of toilet paper dispensers. 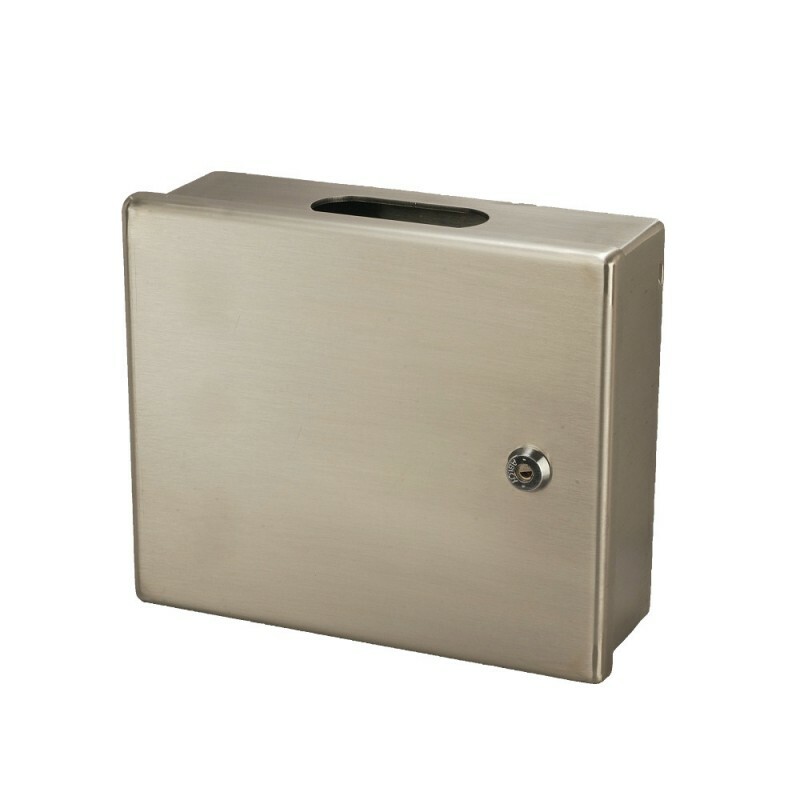 Featuring heavy duty Stainless Steel Construction and a locking enclosure, this unit will cut down on costs from thieves and vandals. The VSP-SWR is intended for all public restroom facilities. The VSP-SWR is available in 12 gauge Stainless Steel that will stand up to heavy use, abuse and vandalism. Featuring a shrouded lock, vandals and thieves will be foiled should they attempt to cut the lock with heavy duty cutters. The VSP-SWR features a flexible paper capacity with accommodations for up to six half-size or three full-size seat cover paper product. Past customers that are interested in the VSP-SWR include Public Schools, Parks, Restaurants and the National Forest.